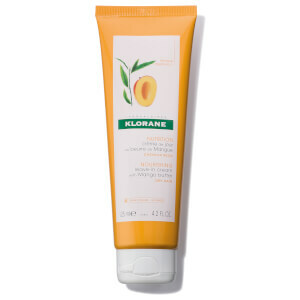 Nourish and repair your locks with the Leave-in Cream Mango Butter from KLORANE. 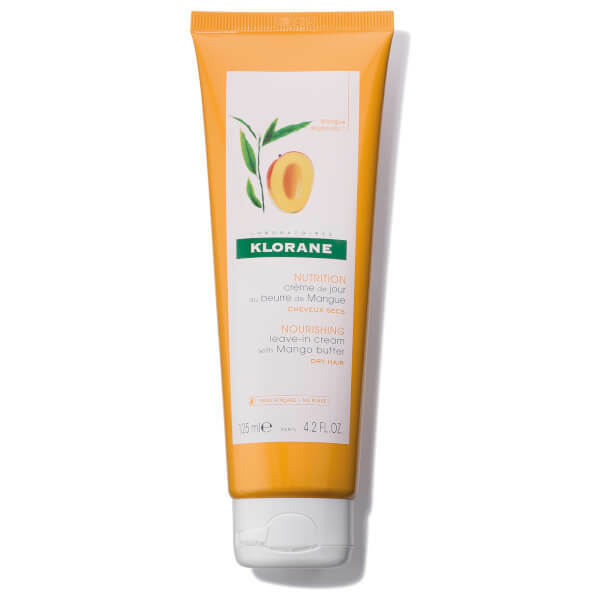 The moisturising hair mask uses rich Mango Butter and Castor Oil to lock in hydration, helping to repair split ends and protect from further breakage. The lightweight leave-in treatment forms a defensive barrier against environmental aggressors, including the drying effects of the sun, and detangles individual strands to improve sleekness. The result is soft, shiny hair that glows with health and life. Vegan. 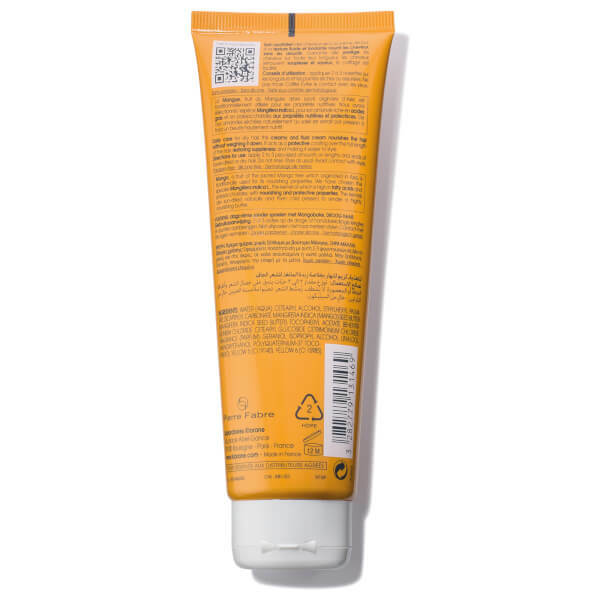 Free from Parabens, Silicones and Sulphates. Apply 2 or 3 pea-sized amounts on lengths and ends of towel dried or dry hair. Do not rinse. Style as desired. Water, Cetearyl Alcohol, Ethyhexyl Palmitate, Dicaprylyl Carbonate, Mangifera Indica (Mango) Seed Butter. Tocopheryl Acetate, Behentrimonium, Chloride Cetearyl Glucoside, Cetrimonium Chloride, Fragrance, Geranol, Inulin Lauryl Carbamate, Isoprooyl Alcohol, Linalool Phenoxyethanol, Polyquaternium-37, Tocopherol, Yellow 5, Yellow 6.